Now in its 5th year, A Winter Union is a festive folk band like no other. From five leading lights of the British Roots scene, expect soaring vocals and exquisite musicianship as the band delight you with a repertoire of original seasonal songs, fresh arrangements of traditional carols both well-loved and little-known, and classics from both sides of the Atlantic. 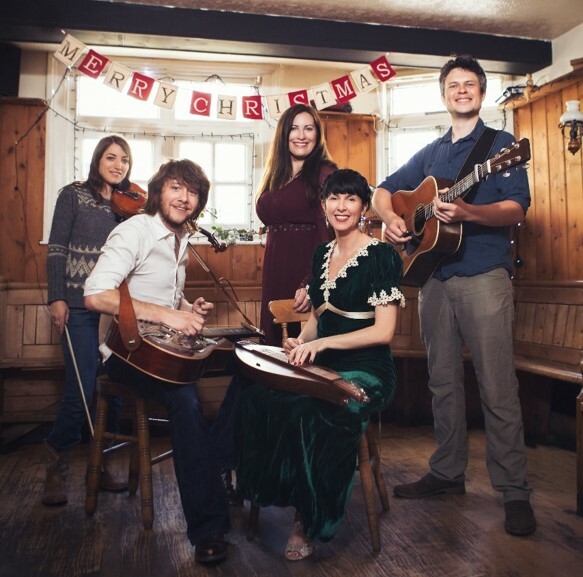 After a busy year touring albums in their other respective bands, Hannah Sanders & Ben Savage, Katriona Gilmore and Jamie Roberts (BBC Folk Award nominees Gilmore & Roberts, Emily Askew Band) and Jade Rhiannon (The Willows) are excited to roll out their unique festive show. These songs are stirred together with such beautiful 5-part harmonies that you won’t be able to resist but join your voice with theirs. And not only that! There’s dobro and fiddle, mandolin and dulcimer, guitars a-plenty and a shruti box thrown in for good measure. A Winter Union are touring throughout December 2019 and bring their wonderful show to the Canopy Theatre in Hungate Church Beccles on 10th December - a perfect setting for the ir Christmastide show!